We left the Tillamook area early morning, and drove to Cape Kiwanda, Oregon. Cape Kiwanda State Natural Area is located in Pacific City, Oregon, United States. Cape Kiwanda is on the Three Capes Scenic Route, which includes Cape Meares and Cape Lookout. 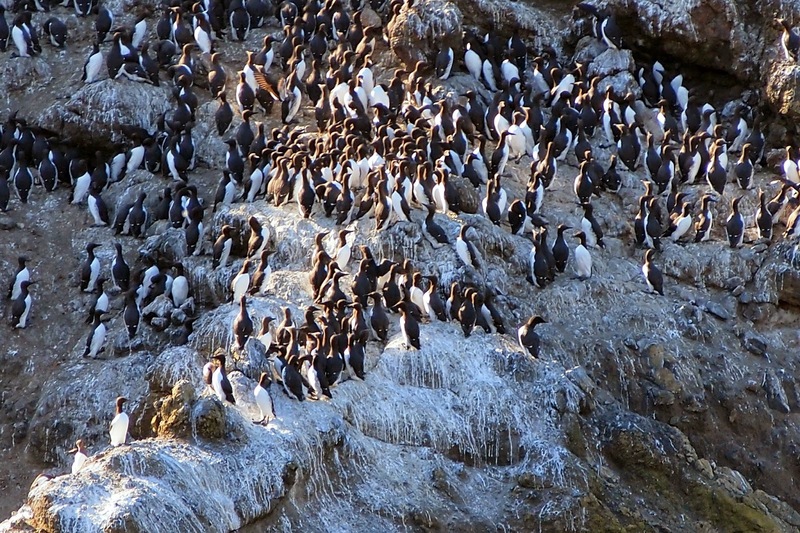 A sea stack, named Haystack Rock 2 is located 0.5 miles (0.8 km) south west of the cape. 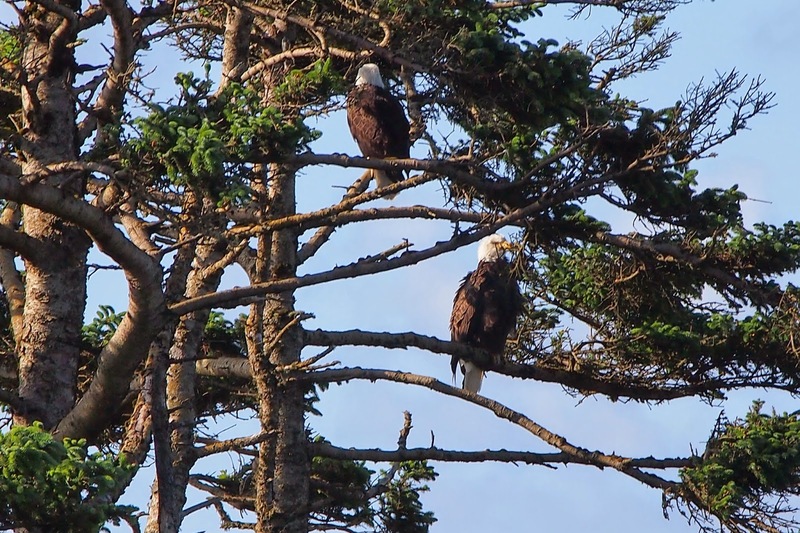 It is one of three features along the Oregon coast that bear the name. 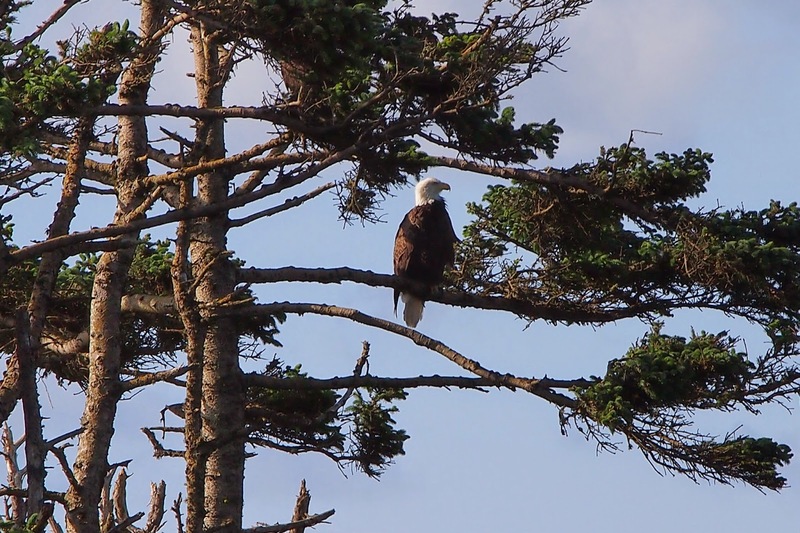 Probably, the best known is the one in Cannon Beach. On one side of the beach is a sand dune, where people have fun climbing it. Driving 40 miles down the south coast, we’ve reach the Otter Rock. The Devil’s Punchbowl viewpoint at Otter Rock offers views into the natural rock formation that can become a churning cauldron of foam when the surf is up. At Otter Rock, a unique natural rock formation makes for great wild wave watching suited to its name: Devil’s Punch bowl. If you want to find an unusual place that strikes you with a sense of wonder and awe, then Devil’s Punch bowl State Park is a perfect choice. Wild winds and thunderous waves of the beautifully rugged Oregon coast have sculpted the sandstone headland into a giant cauldron where foamy waves crash and roiling waters surge with the tides within the giant crater. Devil’s Punch bowl was formed when the roof of what was once a sea cave collapsed, leaving a huge open crater. 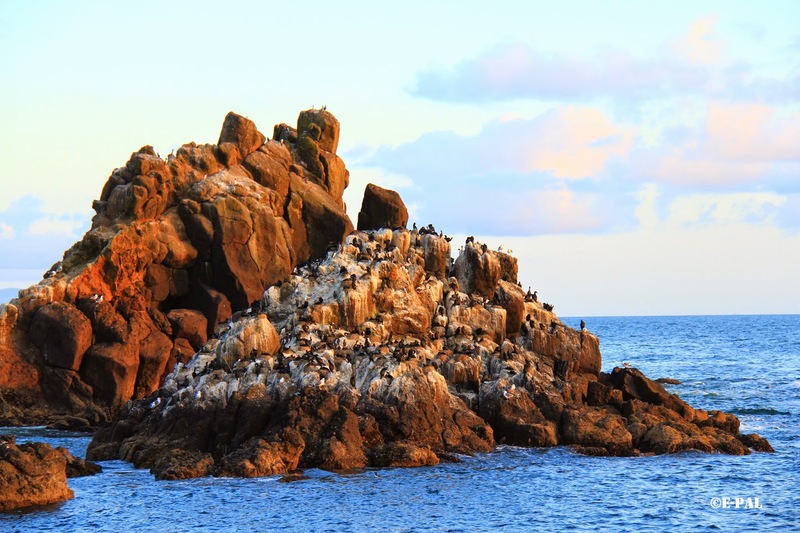 Seals and sea lions snooze on nearby rocks and many varieties of seabirds roost on lofty perches. Gray Whales are frequently seen in the area as they feed in kelp beds close to shore. From Devil’s Punch Bowl. we drove about 9 miles south to get to Newport, Oregon. we checked in to our hotel room then headed to Yaquina Bay Ligthouse. YAQUINA BAY LIGHTHOUSE is located in Yaquina Bay State Recreation Site on US101 at the north end of Yaquina Bay Bridge in Newport, it is the second-oldest standing lighthouse on the Oregon coast. It was in service for only 3 years, from 1871 to 1874, before the brighter Yaquina Head Lighthouse replaced it. Yaquina Bay Lighthouse was re-lit and recognized as a privately maintained aid to navigation by the US Coast Guard in 1996. The lens positioned 42 feet above ground level and 161 feet above sea level. Just within the lighthouse area, you can view Yaquina Bay Bridge. The YAQUINA BAY BRIDGE is an arch bridge that spans Yaquina Bay south of Newport, Oregon. It is one of the most recognizable of the U.S. Route 101 bridges designed by Conde McCullough.The Yaquina Bay Bridge is one of eleven major bridges on the Oregon Coast Highway designed by McCullough. It superseded the last ferry crossing on the highway. As planned, we spent the time to witness the sunset at Yaquina Head Lighthouse. We waited for hours until the sun goes down. It was really cold out there. YAQUINA HEAD LIGHTHOUSE is located off US101, 3 miles north of Newport, Yaquina Head stands 162 feet above sea level. Its 93 feet tower soars upward, the tallest on the Oregon coast. 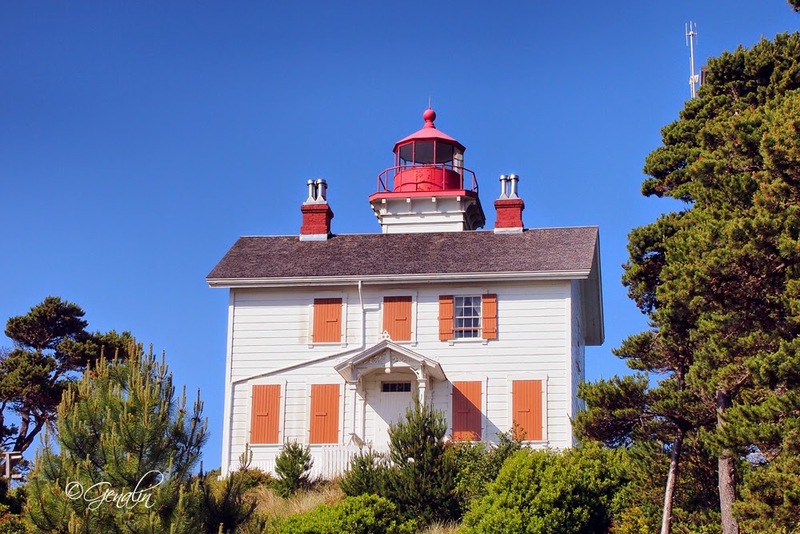 Yaquina Head was first illuminated in 1873, today an automated light serves as an aid to navigation along the seacoast and at the entrance to Yaquina Bay. 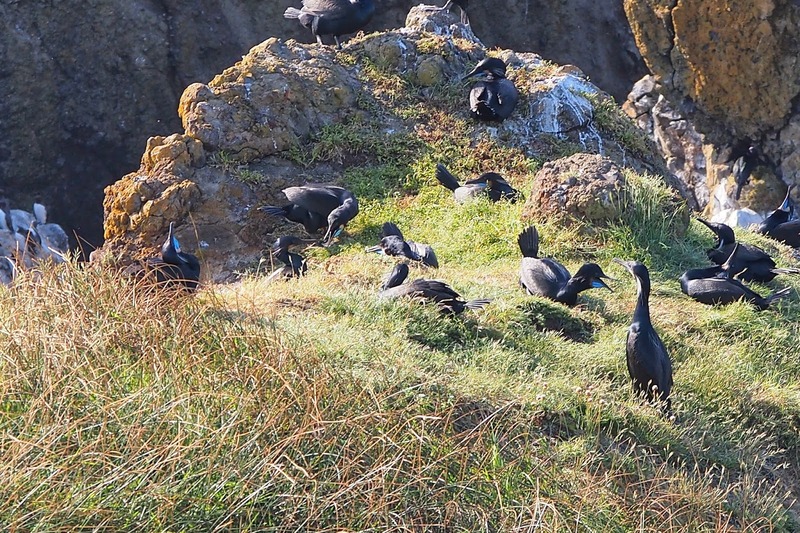 The lighthouse is administered by the Bureau of Land Management in Yaquina Head Outstanding Natural Area, which offers close up views of seabird nesting sites, natural exhibits and trails to tide pools that are accessible year-round.